Founder Ron Werner, CRS, REALTOR, Licensed Broker has been helping buyers and sellers throughout the South Bay and Palos Verdes peninsula with their real estate needs for 30 years. Ron maintains a close contact with you to provide the personal attention you deserve. As a Realtor and a licensed broker, Ron holds the prestigious CRS designation (Certified Residential Specialist), the highest earned award from the National Association of Realtors, held by less than 3% of the brokers and agents nationwide. Ron's successful formula, coupled with a personal style, has won him rave testimonials. Thomas A. Hokel and Janet Ruehle-Hokel wrote, "Four days after the For Sale sign went up, we had two written offers for our Redondo Beach property. Before this experience, we had no idea the enormous amount of work involved in making this kind of sale go smoothly. From the very beginning Ron's professionalism, hard work, attentiveness and attention to detail was amazing. He handled all the details and guided us through the process with ease. We definitely see the importance of having someone of Ron's experience and caliber overseeing such an important transaction. We hope that others looking to buy or sell their home or property will be fortunate enough to have secured Ron Werner as their representative. Thank you, Ron." Ron has had great success coast-to-coast with satisfied clients like Robert Couturier, who wrote, "Ron, thank you for your assistance in helping us find the property that exactly fit our requirements. We have appreciated your responsiveness and acute alertness to the market. You have also been most prompt and accurate in the support required by a transaction executed from coast to coast, without much of our presence ...and you have well represented our interests." Ron has been a real problem-solver, even when clients find themselves with personally difficult circumstances. Ellen Young explained, "I was a newly widowed mother with a five-year-old and had to make some necessary changes in our environment. Since my husband and I had looked at homes before with Ron, I was impressed with his knowledge and professionalism... When it was time to find a new home for my son and I, Ron must have shown me close to 100 homes -- no exaggeration! I was very confused as to what and where I wanted to be. Ron put a lot of effort into getting my home sold, keeping me updated throughout the process. I want to express my thanks to Ron Werner." Michael Ketelsleger and Jana Jameson upon closing said the following: "Thank you so much for helping MIchael and I purchase our first home in Hermosa Beach. This is the first house I've purchased and did not know where to begin or how much paperwork was involved. My job processes a lot of paper but I think your business has twice as much as we do. That means dealing with someone who is detail-oriented is extremely important. I am extremely impressed at how you are on top of all the details associated with the purchase." 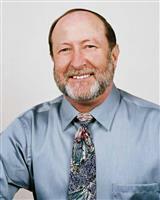 Ron has a wealth of experience at negotiating and managing complex projects as well. "Ron Werner represented me both in selling my home and subsequently leasing two properties," Russell O. Wright of Rancho Palos Verdes said. "When I listed my home with Ron in 1995, the real estate market was still quite sluggish in the South Bay. The house not only sold on the first day it was on the market, Ron managed the escrow so well that it closed without incident and I had my check from the sale one month later." Russell also said, "Managing the escrow process is a difficult task in today's environment of full disclosure, multiple inspections, and subsequent negotiations about the results of the inspections. Ron's ability to conduct the negotiations necessary to obtain a satisfactory agreement of sale, and to follow through to be sure all contingencies are removed, was the key to making the selling process as painless as possible. I want to add that even though I sold my home very rapidly, Ron sold it at a price higher than the one I originally proposed!" "I have bought and sold seven houses around the country (and) Ron is by far the best negotiator. I can confidently recommend Ron's services to anyone who is thinking about buying or selling a home, and I would urge anyone who is doing so not to overlook the ability of the Realtor you chose to carry out the complex negotiations necessary to end up with a satisfactory sale. There are few Realtors who have both Ron's knowledge of the business and his ability to conduct the negotiation in your best interest." Let Ron Werner show you what sets him apart from everyone else & what he can do for you.